Is it ever too late for the gift of goodbye? Melissa Dance was eight years old when her mother died. They never got to say goodbye. Melissa and her father lived their lives without her mother. Melissa managed by blanking out her memories of her mother, while her father clung on to them. Both of them coping in ways they could. On her 25th birthday, she gets handed a journal. It is her mother’s journal which she had left with special instructions to be handed over when Melissa turned 25. The journal that he mother wrote just for Melissa, something that even her father is completely unaware of. It is her way of saying goodbye to her daughter, at a time she feels might be right, rather than as a bewildered eight year old. But is the the right time or it s it too late already? Has Melissa moved into an unforgiving state with little memories of her mother to match the words that leap out of the journal? Or will her mother’s words reach out to her, hug her and comfort her when she needs it the most? A beautifully written book. One that touched my heart. Melissa’s emotions as she reads the book and the way it impacts her life at the moment, was beautifully brought out. It was heartbreaking and sweet at the same time. A mother’s pain at leaving her eight year old and her beloved husband was palpable in Melissa’s mother’s words. It did make me wonder how/what I would do if faced with a similar situation. Would you make the most of the little time you have left in the world, by making it as normal and memorable as possible or would you tell you daughter and prepare her as best as you can. I’m not sure if I agreed with everything that Melissa’s mum did, as in, not saying a goodbye to her eight year old, before she died, but the beauty of the book is that it makes you empathise with the characters. You may not completely agree with their way of thinking but your heart goes out to them, you understand why. The book is not just about Melissa and her mum, it is also about her dad who has been struggling in many ways himself. Having had the most wonderful relationship with his wife, he fears that he has had his chance at happiness. He’d be too greedy to expect more. A book that will stay with me. The recipes of course, are an essential part of the book. 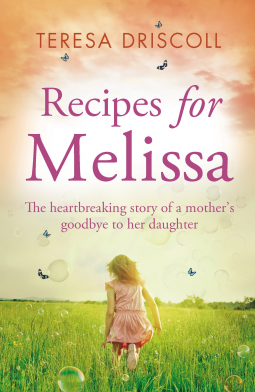 The author does such a beautiful job of merging the recipes with Melissa’s mum’s words that you don’t even realise where an anecdote ends and a recipe begins. Beautifully handled throughout. A 4.5/5 read for me. 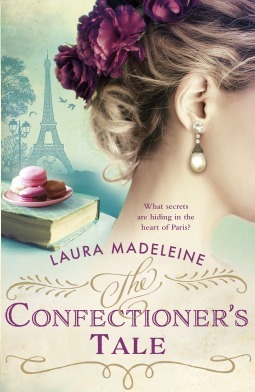 This book is available for pre-order at Amazon(UK), at 99p (an absolute steal!). 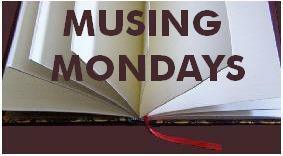 Musing Mondays are hosted by Miz B. So, tell me, what have you been reading? This review has been sitting in my drafts for almost 4 months now. I’ve been giving my house a good spring clean, and decide to take it to my virtual home as well. So you might see some forgotten reviews pop up in the next few days. This was one of the books I definitely want to talk about. Kathryn Booker is the head master’s wife in a rather grand school, Mountbriars Academy. Kathryn spends her time baking scones and playing the perfect, happy wife. To the everybody, they are the perfect couple, still very much in love with each other, despite being married for decades. So why does Kathyrn kill her husband? Why was she so calm, collected and composed while reporting her crime? As the story unfolds, we are shown Kathryn’s private hell, the prison that she lived in, the nightmare she was ready to trade with a life in jail. What could have been so bad in Kathryn’s seemingly perfect life? You have to read it to find out. A book which I couldn’t put down, because I so wanted to know more. To know why Kathryn did what she did, to understand why the people around her and her own children reacted the way they did. Kathryn’s story before she killed her husband was interesting, and eye-opening. It gave an insight into how easy it can be, to get away with domestic violence. So easy to mask and hide, if you knew how to play people. That thought gave me the shivers. What let this book down, in my opinion were the characters. While Kathryn’s husband and Kathyrn’s characters made sense, I found it difficult to believe their children. they refused to see what was in front of them. Even when the evidence was in front of them, even after it all came out in the aftermath of their father’s death. The way the refused to see things from their mother’s point of view was heart-breaking, absolutely heart-breaking to read. Kathryn’s pain from the final way her husband managed to hurt her, long after his death was incredibly sad. I guess, it takes all sorts, there definitely are people like them, self centered, refusing to see what is in front of them, so what if they end up hurting those who love them the most. A 3.5/5 book for me, because this book started off with so much promise, it could have been fantastic, but it fell short, somewhere. While it was an absolute page turner, there was something missing, something that left you unsatisfied. I have to say, the ending definitely made sense, it ended in the only way it could. I would still read a sequel if there is any, simply because this book felt unfinished. And for all it’s flaws, it still is a book that is very memorable, mainly because of the subject that refuses to let you go. Stuff that nightmares are made of, and yet important enough to be written about, and read, because I’m sure it will help someone in similar situations at some point in time. I was offered this book for review in January, but it somehow completely slipped under my radar until I got chased for a review. And I felt horrible because I hadn’t even read it, leave alone review it. So it went on my list of ‘to-read high priority’ books. Agent Eleri Eames had been recuperating in a hospital when she is pulled into a case by the FBI. Given her history, she had not expected to be working with the FBI at all, leave alone so soon, against medical advise. She is partnered with Donovan Heath, a newcomer into the FBI. Donovan had been a medical examiner all through his career -and had been head-hunted to join the FBI. Tasked with the job of hunting down a missing child, the daughter of a prominent FBI agent, who they believe was kidnapped by a cult. Eleri and Donovan are thrown together to grapple about in the murky waters. As they investigate they realise that they both realise that they have secrets to hide themselves. Secrets so explosive that they could destroy them or help them succeed. Will that success come at a high cost to themselves? I wish I could say more, but that would just spoil the suspense for those of you who haven’t read it yet. 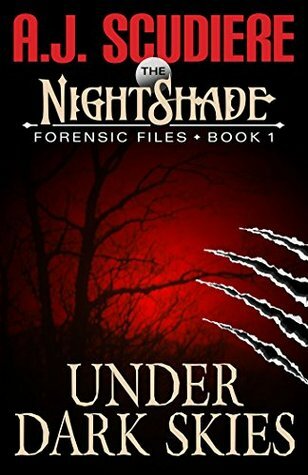 A book that has a very interesting mixture of crime, paranormal elements and characters which made things seem plausible. I liked the way the author brings out the way cults operate and how people are brainwashed into thinking what the cult leaders believe. I also liked the way the author has differentiated between cults, not all cults after all, are evil, some just happen to believe in a different style of living. A 3/5 book for me. It is just another FBI crime thriller, with some elements that set it aside and make it memorable. It is also well worth the read for the different elements that the author weaves together, very effectively. It is not exactly the genre that I enjoy, but it was still quite interesting. I am tempted to check out the next in the series, when it does come out. Claire has everything in life. Two beautiful children, a wonderful husband, a job she loves and a supportive, if slightly annoying mother. She is diagnosed with early-onset Alzheimer’s and everything is suddenly different. She can’t remember things anymore, she can’t do the job she excels at, and worst of all, she can’t remember her husband Greg. He is a stranger for her, someone she views with suspicion, someone she edges away from. She knows that he is her daughter’s father but she can’t remember meeting him, can’t remember falling in love with him. Life is carrying on around her, with her mum moving in to help, her little three year old finding her forgetful mum rather funny, and her 21 year old struggling with her own problems in life. Claire, goes walking, lost in her own world, and ends up meeting Ryan. A man, who treats her normally. As chance has it, she runs into Ryan a few more times, and finds herself increasingly drawn towards him but again, just like the others in her life, she finds hard to recall. Also, with Ryan in her life, what about Greg, her husband who is crazy about her but is constantly snubbed by her, because she can no longer remember him. The book is both heart-warming and heart-breaking at the same time. Claire’s worries at leaving her girls, knowing that they wouldn’t have her around when they most need her, and the way she tries to tackle her memory loss, when she is lucid, was just heart-breaking to read. It was even more heart-breaking to see the family around her, doing their best, failing in so many ways, because Claire, without her memory is a different person, a person who can’t remember things like turning off taps, or what a phone is called, the most basic of things that we take for granted. Reading the book from Claire’s point of view gave me an insight into what a person with Alzheimer’s disease goes through. Even the concerns and care of the people around you, must feel so stifling, so restrictive, even more so, because you have no idea why you can’t take your three year old to the park, or bake a cake with her. Heart-breaking it was. And yet, the love that surrounded Claire, was so heart-warming. Each of the characters’ narrative gives us an insight of the person Claire was – the daughter, the mother, the wife. Even at the stage where she couldn’t remember much, Claire tries to right things with Caitlin, things that she had done with the best of intentions, but which had impacted Caitlin’s outlook towards life. All the characters are beautifully thought out and real. I could identify with their emotions, their pain and their confusion. 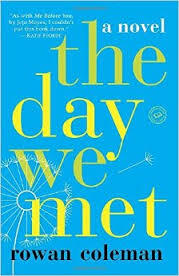 Such a beautiful book, it had me in tears, it had me smiling, it had me on tenterhooks, it had me reading non-stop. A book that will stay with me. A 5/5 book for me. A book I would most definitely recommend. I’ve read Rowan Coleman before, but I think this has been one of her best books, for me. Thank you NetGalley and the publishers, Random House, for the review copy of this book. Rowan would like to live every day as if she were starring in a musical, although her daughter no longer allows her to sing in public. Despite being dyslexic, Rowan loves writing, and The Memory Book is her eleventh novel. 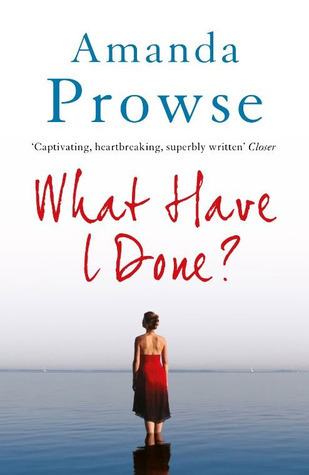 Others include The Accidental Mother, Lessons in Laughing Out Loud and the award-winning Dearest Rose, a novel which lead Rowan to become an active supporter of domestic abuse charity Refuge, donating 100% of royalties from the ebook publication of her novella, Woman Walks Into a Bar, to the charity. Rowan does not have time for ironing. I have been eyeing this particular tag every time Cleo does it on Saturdays, but have not been in a position to do it, for a variety of reasons. Actually, because of just one reason. My weekends seem to be even busier than my weekends! Today, for some reason, I seem to have made up my mind to do this, even if it means I don’t step out into the glorious spring sunshine until mid-day. I end up stacking my virtual shelves far more than my real shelves these days. Netgalley and Bookbub does not help matters when there are so many books available to pick up. I have, however, reduced the number of books I request from Netgalley. I just don’t seem to be able to keep up. And I hate to reach a point where almost every book I read is a review copy. Well, I am almost there already, so all the more reason to stop requesting, I suppose. 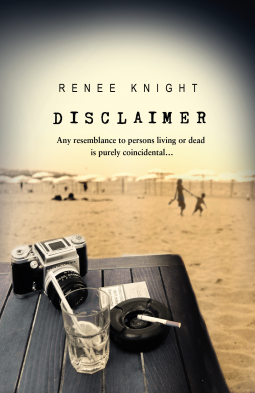 Disclaimer by Renée Knight, courtesy Netgalley. I know, I know, I just mentioned that I am reducing my requests, but can’t stop completely! I’d have withdrawal symptoms 🙂 I saw this book on Cleo’s blog, and couldn’t resist requesting it. The next book is also from Netgalley, Recipes for Melissa by Teresa Driscoll. I couldn’t resist when I read the blurb. As I write now, you are eight years old – asleep in the bed next door in princess pyjamas, with a fairy costume discarded on the floor. Seventeen years later, Melissa is handed a journal. As she smooths open the pages and begins to read her mother’s words, she is instantly transported back to her childhood. But returning to her past is painful and memories of her mother’s beautiful face are a cruel reminderto Melissa that she’ll never see her again. As Melissa slowly makes her way through the precious book, reading the snippets of advice and cooking the dishes from the recipes she is also shocked to learn of her mother’s secrets – secrets that if shared, could change Melissa’s world forever. So, what have you been adding to your shelves? 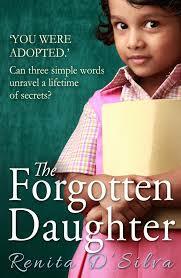 I can’t wait to read The Forgotten Daughter by Renita D’Silva. That was enough to intrigue me. Does this sound like a book you would read? THIS WEEK’S RANDOM QUESTION: What was your favorite book as a child? Now this is a tough question. I can’t think of a single favourite book. There were so many books that I loved. So many authors whose words wove worlds of magic for me. So many authors who took me on a journey to worlds so far away and different from mine. I couldn’t name a favourite, but could tell you stories of how books took me on a magical journey from the time I was little.